This journey begins in the heart of Colombia- the historic city of Bogota. Once travelers gain an appreciation for the urban environment, absorbing ideals of Colombian heritage on their way, they move on to appreciate this country's beautiful beaches and aquatic destinations. 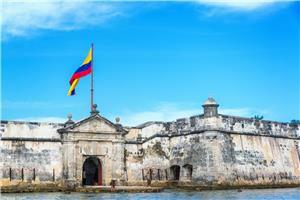 You are taken from the centrally located capital, to the city of Cartagena on the northern coast. Finally, a short flight brings you to the Colombian island of San Andres for three memorable nights in the western Caribbean. This tour is ideal for those seeking sand and surf as they experience South America, bringing you closer to the sea than the equator. Following arrival at El Dorado International Airport in Bogota, an agent brings you to a centrally located hotel. From a prime location, you are free to take part in the city's zestful nightlife. Locals recommend visiting the “Gourmet Zone,” or “Zona Rosa,” both popular neighborhoods in the north of the city. Here, many superb restaurants, cafes and bars, and clubs will help make your first night in Colombia memorable. 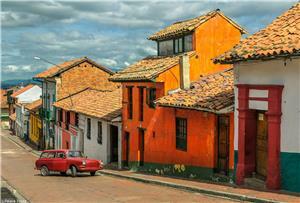 In the morning, you will be given a panoramic tour of Bogota’s historic central city, Candelaria. This unique area preserves the civic and cultural origins of the surrounding city, as well as the foundation of Colombia as a nation. A number of key landmarks and buildings can be found in Candelaria such as the national, Cathedral of Colombia, one of the largest of its kind in South America. Add more glimmer to the day with a visit to the Gold Museum. Here over 30,000 gold relics will demonstrate the richness of Colombia’s indigenous history. Bolivar Square hosts impressive federal government buildings such as the Congress, Supreme Court, and mayor’s residence, each constructed using unique architectural styles. Bolivar Square honors Simon Bolivar, the leader of South American decolonization from Spain, with a large statue in its center. To conclude the tour of Candelaria, you will visit a former home of Bolivar’s which was turned into a museum. Come back to the hotel for the evening, or stay for a night on the town. In the morning,an agent brings you to the airport for a short flight to Cartagena on the northern coast. After checking into a hotel, you will be given an afternoon tour of several traditional neighborhoods in the city. Another visit to a 400 year-old monastery also provides a great overlook of the city. After viewing Cartagena from this tremendous vantage point, you see another piece of history at the Castle of San Felipe de Barajas. This hilltop fortress was built by the Spanish to defend their settlement, and is largely intact today. In the evening you are brought back to your hotel where you are free to rest, or continue exploring the downtown. In the morning, board a high-speed boat to reach the Rosario Islands, an archipelago just off the coast of Cartagena. Here, 28 islands are enveloped by crystal clear water, coral reefs, and a thriving ecosystem. You are given a tour of the islands, and have the option to visit the aquarium San Martin de Pajarales to view the local marine life up- close. For lunch, enjoy fresh seafood, coconut rice, and plantains as you unwind along the pristine shore. Spend the rest of the day at the beach before you are returned to the mainland that evening. 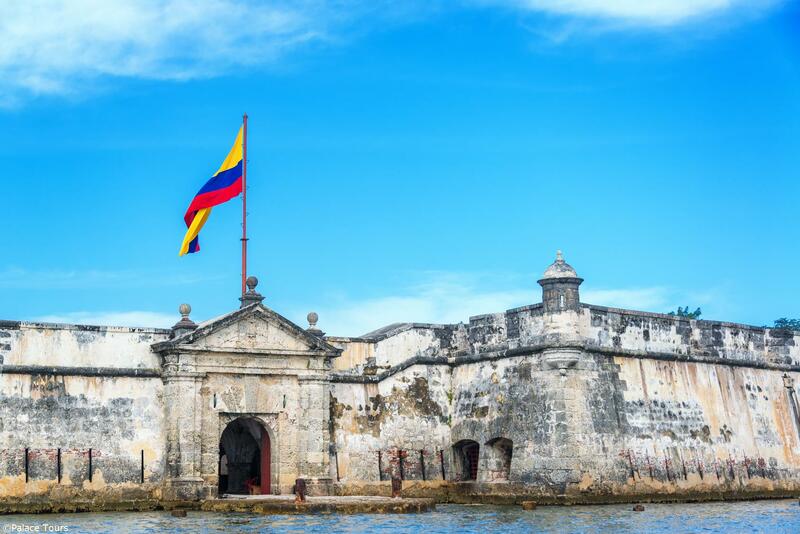 Back in Cartagena, take a drive through the walled city and dine at any number of fine restaurants serving up fresh Caribbean flavors. A driver brings you to the airport for a flight to San Andres, a Caribbean island 470 miles northwest of Cartagena. 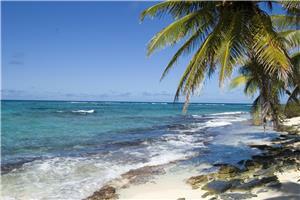 San Andres has a peculiar history as an island tied to England, through Puritan settlement in the 17th century. Today, this diverse and beautiful island hosts Creole, English, and Spanish speakers and an internationally protected ecosystem. 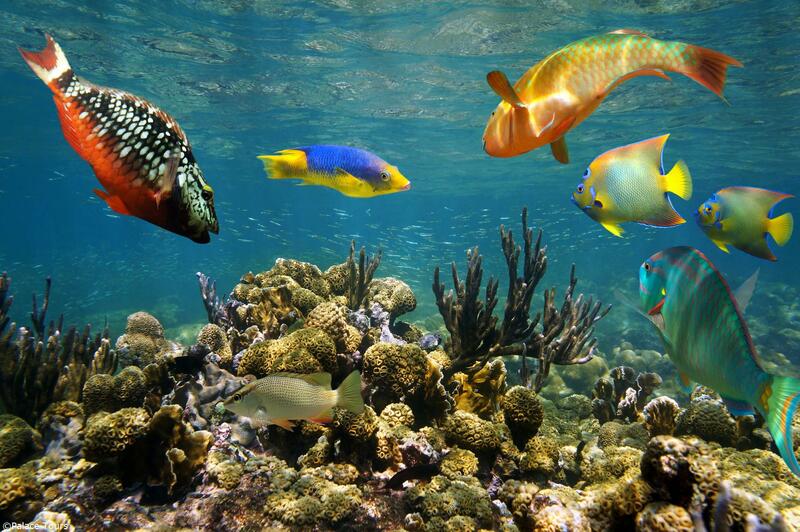 Some of the best diving and snorkeling spots in the Caribbean may be found here, along with numerous marine species. After checking into a hotel, the day is yours to explore the island. For your first day on San Andres, spend time along the white-sand beaches, or relax at the hotel, until a tour of the island begins in the afternoon. Since the island is only 10 square miles, you don't work hard to see all the native palm trees, mangroves, and green pastures that make San Andres an exotic destination. The waters surrounding the island are called, “the sea of seven colors,” given that 85 species of coral thrive here, each giving the water a unique tint. You see an old pirate hideout at Morgan’s Cave, natural pools, and remarkable rock formations before returning to your hotel. The day begins with a six-hour tour along the cays surrounding San Andres. Take a walk through the first stop, Johnny Cay, and enjoy a typical lunch at Haynes Cay in the afternoon. Travellers have the option to embark on a guided snorkeling trip to immerse themselves in the biodiversity of San Andres. However, those who stay behind may still enjoy sunbathing, swimming, or just plain relaxation to the fullest. A driver and travel agent bring you to Gustavo Rojas Pinilla airport for a departure flight. Guests need to add 3 business days to the above timeframes. An administration fees of 15% on any monies paid by the client will be charged prior to refund. 1What time of year is best advised for Colombian travel? The best season for travel is generally late fall into early winter. In the range from October to January, the weather is milder, yet still enjoyable. 2How many hours are generally spent on the daily tours? Depending on the site and activities, tours may range from 4 to 8 hours. 6 hours may be considered an average duration for the day tours. 3What is the weather like in Bogota and how should I dress? Be sure to wear comfortable shoes and clothing because there will be a good deal of walking on the tours. Generally, Bogota's climate is milder than one might expect. Temperatures typically do not climb above the 80's during the summer. However, in cities like Cartagena on the northern coast, and Medellin, temperatures tend to be higher. 4Will an English speaking translator be provided on all of the excursions? 5What if my initial hotel selection becomes overbooked before I arrive? You will be provided with a similar accommodation close-by. 6Is the entrance fee to the Gold Museum in Bogota included in the tour expenses? Yes, this museum visit is part of a tour, and included in the costs. 7Is the guided scuba excursion on San Andres included in the travel expenses? No, this excursion is optional and the expense for renting the equipment must be paid at the location, apart from the overall costs of the trip. 8What is the history behind San Andres? Why is it Colombian? San Andres was settled by English Puritans and Dutch settlers in the 17th century, alongside an indigenous population. Slaves from West Africa and Jamaica were also brought to the island. Caribbean pirates were also known to use the waters around San Andres, and the island itself. The Spanish empire took an interest in San Andres and conflicted with the English for control. After the successful revolution of Simon Bolivar in the 1820’s, San Andres became officially recognized as Colombian following the expulsion of Spain from South America. 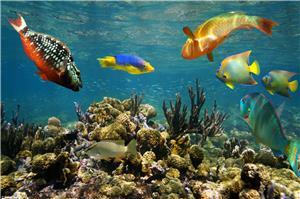 9Is the visit to the San Martin de Parajes Aquarium included in the tour costs? No, this is an optional stop in the Rosario Islands, and as such, tickets for entry are not included. Tickets cost roughly 13 USD. 10What is Candelaria, where is it in relation to Bogota? Candelaria is a city center in the heart of downtown Bogota. Key national government buildings and institutions are located here. Candelaria may also be thought of as the, “old city,” of Bogota due to the historical architecture and aesthetic preserved here.